Dr. ML Chan. as Chief Strategy Officer for LSIS Company, Ltd., Dr. Chan is responsible for developing and implementing the Smart Grid strategy for the company. The strategy covers the global footprint, including China, Americas, Asia Australia, Europe and Africa. Serving as Executive Director for Smart Grid for JUCCCE, a non-profit organization in China, Dr. Chan introduces overseas Smart Grid technologies into China to accelerate the greening of China’s energy infrastructure. Dr. Chan is an expert in the areas of Smart Grid and the utilization of computer and communications system technologies to deliver power system reliability, performance improvement, and optimal asset management for utilities. He combines his power system planning and operations expertise to integrate renewable, distributed energy resources, demand responses and load management, AMI/AMR systems, Home Area Network (HAN), feeder automation, substation automation, SCADA, asset condition monitoring, condition-based maintenance (CBM), synchrophasor measurement unit, wide area protection and FACTS technologies into a Smart Grid vision for utilities. The full realization of that vision is made possible when Dr. Chan guides utilities in developing and implementing enterprise IT system architecture to provide business intelligence for utility operations. His environmental resource management background since the 70’s also provides him with significant insight to integrate renewable resources, demand side management, carbon footprint reduction and efficient energy building technologies into utility operations and planning. For more than 30 years, Dr. Chan has provided consulting services to over 70 utilities in the United States and around the world. He has published over 60 technical papers in the open literature, and has given many presentations and speeches in seminars and tutorials. He is the Chair of IEEE Power System Planning and Implementation Committee, Chair of Task Force 2 of IEEE P2030.1 Working Group, and an original member of Executive Advisory Committee for DistrbuTECH Conferences and ELP Executive Conference. 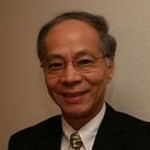 He is also on the Editorial Board of IEEE Transactions on Power Systems. Dr. Chan has SB, SM and Electrical Engineer’s degrees from MIT, and PhD from Cornell University. Prior to joining LSIS Company, Ltd. and JUCCCE, he has worked with Energy Resources Company, Tetra Tech, Systems Control, Inc., Energy Management Associates, ECC, Inc., ML Consulting Group, SchlumbergerSema, KEMA, Inc. and Quanta Technology, LLC.